Few palaces in Sweden have been as strongly associated with queens as Drottningholm. It began with Queen Katarina Jagellonica who was presented with the first palace built here in about 1580. To honor the queen, it was named Drottningholm (Drottning = Queen). The Dowager Queen Hedvig Eleonora laid the foundations for the present day palace and ornamental garden. She bought Drottningholm in 1661, but a few months later the palace burned. She then undertook the most costly palace construction in Sweden – the new palace was to reflect the fact that Sweden was a Great Power. The palace architect took inspiration from Italy and France and the French Baroque motifs in the ornamental garden were taken from palaces such as Versailles and Chantilly. In 1744, what was perhaps the most magnificent celebration in the history of Drottningholm took place – the wedding of the future Queen Lovisa Ulrika and King Adolf Fredrik. 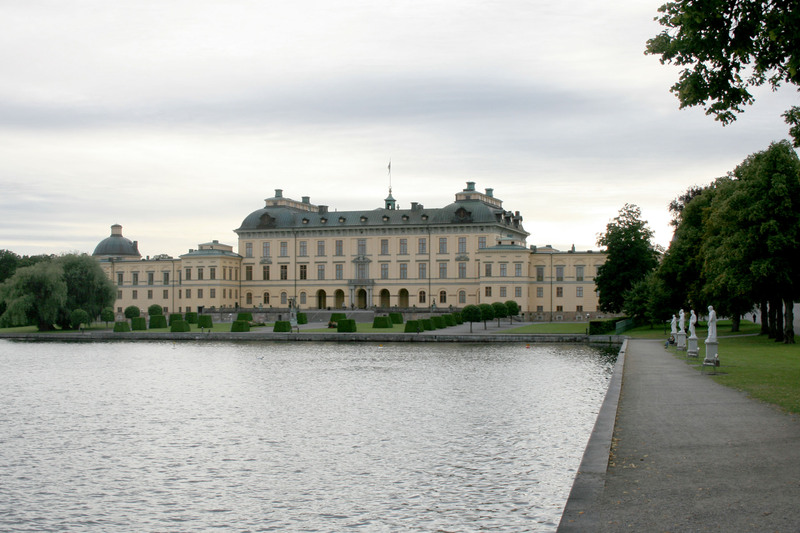 As a wedding gift, Lovisa Ulrika was given the use of the estate of Drottningholm. The royal couple lived there in the summer and had the palace extended and given its current appearance. In 1766, the Court Theater was inaugurated, where a french ensemble and the Court performed. Plays were also held in the Baroque Garden. At a secluded spot in the hunting park the Chinese Pavilion was built and close by, Kanton, a miniature community of craftsmen. In 1777, King Gustav III took over Drottningholm. He gave rein to his keen interest in theater in the park surrounding the Chinese Pavilion where he held several “Carousels”. These were grand theatrical jousts in which the king himself participated. He also ordered the construction of the English Park, and a structured plan for Malmen, a satellite community on the other side of the road.